"Dentists should learn to look beyond the molars!" 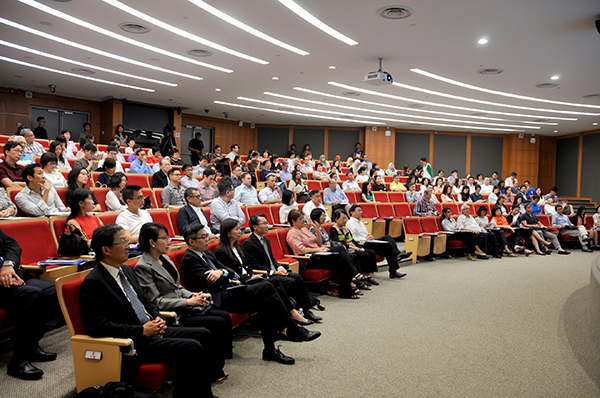 The NUS Edmund Tay Mai Hiong Endowed Fund was started to not only raise public and medical community awareness of dentistry's role in sleep and airway issues but to empower and recruit dentists as front line professionals in the early detection of sleep-disordered breathing (SDB). We strongly believe that the informed dentist, working together with a team of dedicated sleep experts, has the potential to be a major factor in the co-management of many sleep-related disorders, not only Obstructive Sleep Apnea (OSA). Dr. Bailey is a general dentist with a practice limited to the management of Sleep Related Breathing Disorders as well as Temporomandibular Disorders, Orofacial Pain and related headaches. He holds Diplomate status in both the American Board of Orofacial Pain and the American Board of Dental Sleep Medicine, and is a Fellow in the Academy of General Dentistry and the International College of Dentists. He is a past president of the American Academy of Dental Sleep Medicine (1998-1999) and the founder and past-chair of the Oral Appliance Section and served on the Standards of Practice Committee for the American Academy of Sleep Medicine. A much sought-after international speaker, he has published numerous scientific articles, chapters and a textbook on the topic of Sleep Medicine and Oral Appliance therapy for the management of snoring and sleep apnea. Noteworthy amongst these are: “Sleep Disorders: Dentistry’s Role” (Dental Clinics of North America Oct 2001), “Dentistry’s Role in Sleep Medicine” (Sleep Medicine Clinics, Mar 2010) and the popular textbook, “Dental Management of Sleep Disorders” (Wiley-Blackwell, Dec 2010), which he also co-authored. Dr. Bailey is currently a visiting lecturer in the Orofacial Pain and Sleep Medicine Program at UCLA School of Dentistry and is the Co-Director of the Mini-Residency in Sleep Medicine for the Dentist.